As trusted Honolulu used car buyers, we know that it’s a rare occasion for most folks to be able to buy a car for someone as a Christmas present. Still, it does happen, especially when the car is affordable. For many people, a vehicle with a price tag of under $25,000 makes it an affordable purchase, so if you’re looking to “give big” this Christmas season and light up your child or significant other’s eyes, here are a few top picks that are perfect for gift-giving this holiday season. These vehicles are all 2013 models, so they’re practically brand new! Because they are a year old, prices may be considerably lower than you might expect. How about a 2013 VW Beetle Convertible? Classic with a bit of a retro appeal, this 2.0 liter turbo diesel offers an amazing 41 mpg on the highway, along with 200 horsepower, and a 2.0 liter turbocharged four-cylinder engine taken from the VW GTI. For those who remember the ’69 Camaro, the 2013 model is the perfect gift for anyone who is consumed with the ’60’s muscle cars heyday. Just hang an air freshener with a burnt rubber scent on the rearview mirror, and it will take you back – way back! Jeep Wrangler, anyone? Rough and rugged, everyone loves that the Jeep Wrangler can take the roughest treatment and most rugged of terrains, and still look like a cute little toy when cruising town. If your loved one enjoys driving off-road as much as on-road, this is the vehicle of choice. Fresh and funky, the 2013 Kia Soul is ideal for a family of four, or a young adult who enjoys being unique from everyone else. With tons of cargo space and a design that leads toward right-angle heavy, owners will enjoy this small crossover’s fuel efficiency, and spunky good looks. Looking for a stocking stuffer? Just kidding, but the 2013 Chevrolet Spark is a pint sized barrel of fun that can haul five adults if they’re on the skinny side. With ample space to haul “stuff” if the back row is folded forward, those with busy lives and who demand fuel efficiency will love finding this little joy under the tree. Like to inject a bit of British flavor into your cars? The 2013 MINI Cooper is in high demand for those who demand both form and function. Tiny in appearance on the outside, the MINI Cooper is roomy on the inside, gets 37 mpg on the highway, and is perfect for the style-conscious person on your list who likes to tool around town. 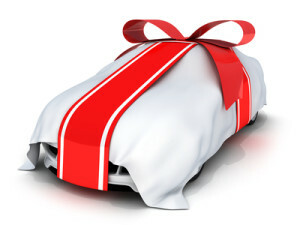 These are just a few ideas if you’re considering a car for someone on your list. Want to trade in your used car so that you have a little more cash to buy that newer model with? At CarMark Hawaii, we buy used cars for cash. As long as yours is a 2007 or newer model in good condition, make an appointment to come see us today! We pay cash on the spot, so no waiting for your money, and no hassle. Serving the Honolulu area for more than 25 years, you can trust us for a stress-free experience.